Holiday coming up quick? Well, note to self, so is tax season. We aim to reduce your tax day stress during this holiday season if you follow some advice. 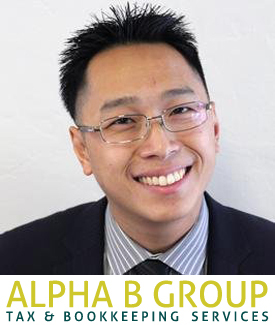 As another feature for Entrepreneur month, the Nerd Stalker Media gang called on Phuc Ly(pronounced Foo-Lee) of Alpha B Group, to give you 5 ways to prepare yourself (the busy entrepreneur) for the next tax season and lower your tax time stress. Check it out! "It is a good practice to see where you stand every month and talk to a tax professional"